My new thriller GIRL NUMBER ONE was inspired by a classic “What if?” moment, and for those who are not sure what this means, it’s when a writer imagines a situation and thinks, ‘Okay, this is an interesting scenario, but what if X happens next or what if Y also happens to be …’ (add your plot complication here). So two lovers arguing on a railway platform is a standard image. But “what if?” one of them leaps in front of the oncoming train and the other is left to live with the guilt or work out why they did it? Or “what if?” one of them is married to someone else, or actually a rogue spy on the lam? My own “What if?” moment with GIRL NUMBER ONE is the image around which the story revolves. A woman running in the woods stumbles across a dead body. I live in Devon now but I used to live in neighbouring Cornwall, near Cardinham Woods, which is a popular site for walkers and tourists. One day I was out in the woods, probably jogging or possibly with the dog, I can’t recall now. But it can get quite dim in the deep wood, even in sunlight, and I saw something lying across the path ahead of me. When I kept going, a little spooked, I saw it was actually part of a tree trunk that had collapsed across the path during a storm. But what if I came back with the police and the body had vanished? Would anyone believe me without proof? Why would I “imagine” a dead body though? What if I had some kind of bad personal history with the woods, which would explain why someone might play such a cruel trick on me – and why no one would believe me about this latest incident. What if someone I loved had been murdered exactly where that body had been left, and I had never got over it? 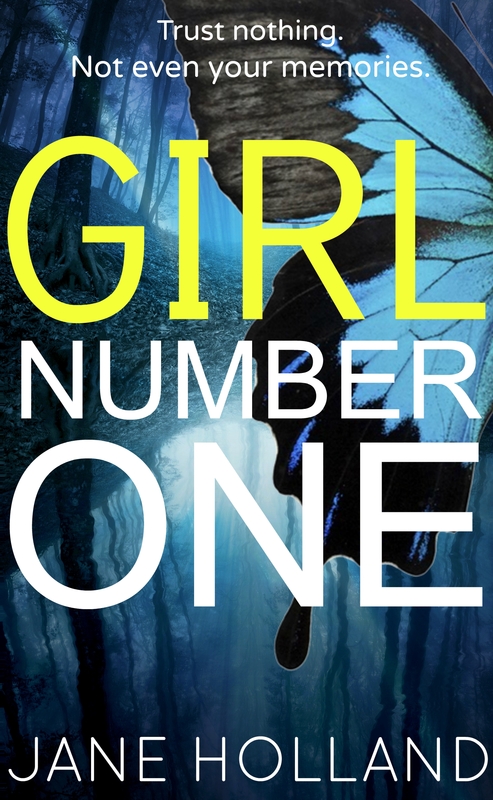 That’s how GIRL NUMBER ONE sprang into my mind, and the finding of plausible, interesting, and often fiendishly complicated answers to those very same questions is how I wrote the novel. Perhaps that’s also why I wrote the novel. So I could answer my original question in the woods that day … what if? And all because of a trick of the light. I LOVE whatiffing. It is such fun and you never quite know where you are going to go with it. A dead body WAS found on my favourite running route, though thankfully not by me. A suicide, sadly. How horrid, Kath. We had a suicide outside our house in the Isle of Man once when I was a kid. A guy parked outside the gate – it was a fairly quiet spot – and bit on the business end of a rifle. I was kept away as I was only a teen, but apparently it was quite grim.